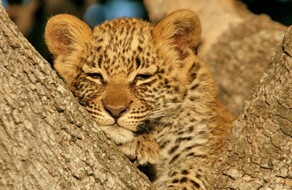  General Safaris News - General information and updates from our partners in Africa.  Monthly update from Zibadianja Camp in Botswana.  Monthly update from Xigera Camp in Botswana.  Monthly update from Lufupa River Camp in Zambia.  Monthly update from Toka Leya Camp in Zambia.  Monthly update from Makalolo Plains Camp in Zimbabwe. 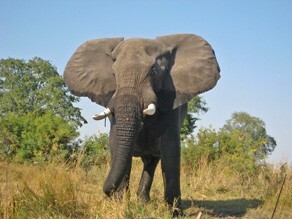  Monthly update from Great Wilderness Journey safari in Botswana and Zambia.  Monthly update from Rocktail Bay Camp in South Africa.  Monthly update from Damaraland Camp in Namibia.  Monthly update from Lianshulu Lodge in Namibia. The evening fires were a great treat for the nippy winter and many interesting conversations were conjured by our enticing fire. Friendships were made and funny moments experienced as we sat by the fire before and after dinner. The resident elephants were yet again a great sighting providing a wonderful close up view from the main area, normally during brunch. It was nice to watch them forage through the little island's vegetation and leave some areas bare while we ate our scrumptious meals and left our plates bare too. At one time we had the pleasure of seeing up to three elephants relaxing and picking the sycamore fig fruit from the ground in the main area during siesta time. Everyone had to just put their books down and enjoy watching the majestic animals at close view, utilising their muscular trunks to pick up some tiny fruit. The palm fruits on the island are ripe and that is the main elephant attraction to the island. It was quite an experience to see them use their strong trunks and bodies to shake the fruits of the palm trees and feed on them. The sound effects of that method of getting fruit were enormous and sounded like waves crashing or a herd of animals stampeding through the delta. 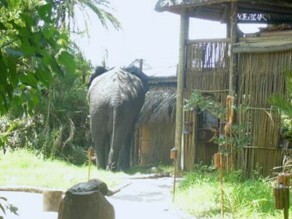 If you were not aware of the elephants' activities you could get a big fright from the noise! Another resident, the hippopotamus, has made a few appearances this month as he appeared at different times in the most interesting places. 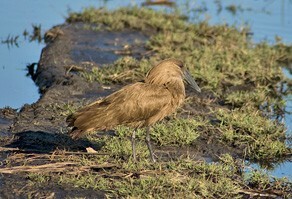 He has been coming on to the island during the day and has even made a name for himself - The Jacana Mascot. It was a great experience watching him as he came sloshing through the driveway that is now under water. As everyone grabbed their cameras and left their meal the hippo posed for clear daylight shots. One evening we had to go upstairs and leave our warm fire to watch him as he strolled across the fire place before dinner. There were other amazing sightings experienced on our famous dug-out canoes (mokoro) which were of two rare creatures of the Okavango Ddelta. 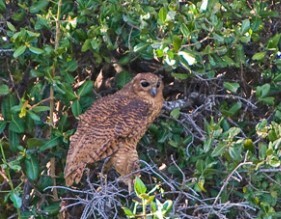 We had 4 sightings of the great Pel's Fishing-Owl on the nearby islands which are only accessible by the mekoro. We also had three sightings of the mystical sitatunga; one of the sightings was of a family of three comprising mother, father and a baby! Sitatunga sightings are possible from the mekoro as they are quiet and allow you to get close to these creatures with minimal noise and no running engine noises. We were excited by several spotted-necked otter sightings during the month. These animated creatures are always a treat to watch and we were excited when visiting photographer Dana Allen managed to capture them on in the lagoon in front of camp. The night sounds of the nocturnal creatures were enough to keep the mind busy - but the extra sounds provided by the hippos fighting and grunting, the elephants crashing through the trees and their stomachs growling were enough to keep a person's imagination wondering even further! The flood this year is not as high as it has been last year, allowing very pleasant game drives through shallow waters; sometimes in form of a gently flowing river or a lagoon where only the guides know the roads. The deeper sections are still a real challenge for our vehicles and when the water washes over the bonnets (hoods) of our Land Rovers as we drive through slowly, one can feel the tension of guides and guests alike until the other end has been safely reached. 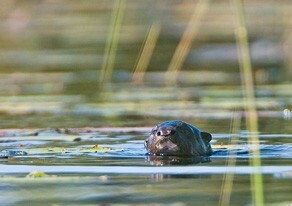 In the Okavango Delta, water is the essence of life and the driving force behind this ever changing natural wonder. No day is the same, this year is not like last year, and even for guests like Werner Frosch who has visited the Okavango Delta almost thirty times, the area is still full of surprises. Our area can be discovered by game drives, mokoro or motorised boats, each offering a unique approach to discover the beauty of the area. Game drives are best to see the big game as you can get close to the animals and often you will find that leopard or spotted hyaena come to investigate the vehicle. A mokoro activity will bring you closer to the beautiful water lilies and colourful painted reed frogs. A trip on our boat will show you the channels and the lagoons of the Delta - also a very good opportunity to see bird life. 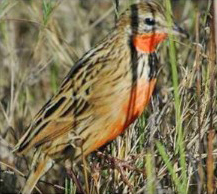 The Tubu area has various habitats - floodplains, mopane forests, open savannah and also thick bush: resulting in a great diversity of birds to be seen. If you want to discover even more, our qualified walking guide will take you on a walking safari - an excellent way to have a closer look at animal's tracks and signs, watch the guide dig out a scorpion or make a fire by friction. We have beautiful photos of our resident leopards in our dining and lounge area, all taken by Cathy Kays. At the time when the camp was built in 2002, a mother and two cubs - one female and one male - were living in the vicinity of the lodge and they have been with us ever since. We unfortunately found him badly injured and limping about two weeks ago and we do not know what has happened to him. We dearly hope he survives and we will keep you updated. We have also had a wounded wildebeest wondering around in our area. It finally reached the Kalahari Pan area, followed by two hyaenas. The wildebeest then retreated slowly to the middle of the pond where it stood for a while in the shallow water before it collapsed and died: a very sad moment. Everybody expected the hyaenas to immediately rush in there to start feeding on the carcass but nothing happened. They waited the whole day in the vicinity of the carcass and only in the evening - shortly before sunset - the two of them slowly and carefully entered the water and started circling the carcass, drawing their circles closer and closer. But it took them more than half an hour before eventually one of them (and to our greatest pleasure it was the smaller, not fully grown one) was brave enough to take the first bite. The mother looked a bit dazed and was surely a bit embarrassed to have been outrun by its youngster. She immediately joined in and helped pull the carcass out of the water where they started feeding. Not much time passed until a beautiful male leopard joined the scene to investigate what was going on. It was surely an amazing sighting for our guests, having the hyaenas on one side of their vehicle and the leopard on the other side. Quite understandably the crushing of the bones and the inevitable giggle of the hyaenas kept the leopard in safe distance and the ice cubes in our gin and tonics shaking - another wonderful evening on Hunda Island. The winter solstice has come and gone this month; it is hard to believe that half the year has already passed us by but wonderful that the days are now getting longer and that summer is on the horizon. We certainly have nothing to complain about this year as we have had the most spectacular winter weather, generally with daily minimums around 15° Celsius that have risen rapidly to produce wonderful warm sunny days. The temperatures have been many degrees warmer than expected and despite them dropping a little during the last few days of the month, they are still very bearable. As usual nature has been exceptionally kind to us. We have enjoyed some really wonderful interactions and sightings and have been thoroughly enjoying the time of the year when we are able to experience the floodwaters of the Delta and also combine the water experience with wonderful trips to the woody savannah on Hunda Island. How wonderful it is to have the contrast of the floodplains and the dry savannah that are separated by a scenic 15-minute boat ride through the lily-lined channels and lagoons. The month started off with high drama when we had four hyaenas pitting themselves against Freddy, our resident male lion, on the floodplain in front of camp. The altercation interrupted breakfast for our guests who then hastily jumped onto a Land Rover to watch the drama unfold. Freddy dealt with his spotted enemy, although not without a few battle wounds. He then remained close to the island for a couple of nights where he roared loudly, presumably hoping for a response from one of his females that are accompanied by his male and female sub-adult offspring. Apparently his calls went unheeded and he spent the following two days looking rather thin and battle-weary, enough to evoke some emotion in our guests who were very concerned about his wellbeing. For the remainder of the month we have not seen or heard from the female and offspring, the only signs are her tracks on Hunda Island. Finally, Freddy returned looking far healthier and obviously better fed; however, his age is beginning to tell. The many battles he has fought are clearly evident, but we live in hope that he still has time to spend with us, even if it is as a lone male that has been dethroned by a coalition of younger lions. 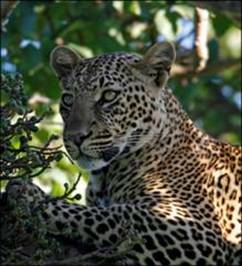 It seems that our leopards have noticed the lower profile of the Kwetsani Pride this month; we have had the most amazing leopard experiences and sightings. Beauty, our resident leopard, has been ever obliging and has been seen constantly throughout the month with her cub that is now climbing and jumping confidently in and around the trees. Of course, like all kittens, the cub is ever active and always playing with mom. What a joy it has been for our guests to spend hours watching these fabulous interactions. Thanks to honeymooners, Karl and Leah, for sharing this picture of Beauty and her cub with us. Freddy's return also caused some exciting interactions when Beauty was found with a fresh reedbuck kill on the floodplains far from the safety of trees in which she would normally drag and hide her prey. 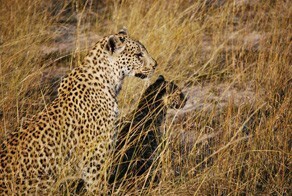 There was great consternation as Freddy approached mother and young leopard that were both eating at the fresh kill. Fortunately the lion was detected and the leopards deserted their prey and headed for the safety of the woody islands where they could seek refuge in the safety of the trees. Guides and guests watched with utter bemusement as Freddy came within 15 metres of the reedbuck and was still completely unaware of the kill, as he was upwind with a very strong breeze blowing. As the morning drive progressed Freddy headed towards the leopards and eventually had a heated encounter with the leopards that were now in the safety of a giant marula tree, where Beauty hissed viciously at the lion who would not hesitate to sink his teeth deep into the cub's fragile body if the opportunity arose. To watch encounters in which a young leopard cub could at any stage be instantly killed is difficult, but such is nature and the ruthless way in which its balance is maintained. This is certainly not an easy thing for humans to comprehend. After a rather fascinating day, with wonderful sightings and interactions between leopards and lions, and with guests still on a predator high, two leopards greeted them literally 100 metres from camp. What an end to a perfect day. Seeing these two leopards together certainly dropped a missing piece into our puzzle as a few days earlier we had had another huge nighttime commotion with impala alarming and mobbing a leopard, whose eyes we could see in the dense bushes around the camp deck. On this occasion guests again left the glowing embers of the fire, clambered onto a game viewer and were rewarded with a wonderful sighting of our enormous and very elusive male leopard that was obviously very well fed. We found him close to the boat station, the other side of camp, probably 300 metres from where we had just heard the activity. We were certainly amazed at the distance between the initial sighting and the spot at which he was found; it was now obvious that we were dealing with more than one leopard. Later that night we heard the rasping cough of the leopard throughout the night, the sounds being similar to a bow saw cutting rhythmically through a log. 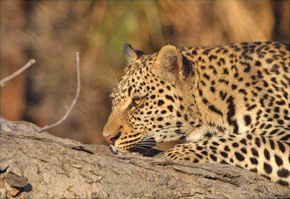 Just when we thought we had seen all of the leopard activity we were in for, there was more. Cliff and Mary, our British guests, were returning from a wonderful mokoro activity in which they had had an elephant pass gracefully in front of them followed by an enjoyable Kwetsani sundowner. Having been treated to a great day with sightings of lion and leopard they came across three more leopards at our boat station. Needless to say the camp jumped into life with everyone again hurriedly climbing onto Land Rovers and quickly moving off to find these creatures. All guests had wonderful sightings of the leopards, the cherry on top then being two hyaenas that passed within metres of the huge male leopard, the hyaena herself an enormous female. 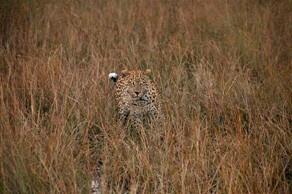 They watched and shadowed the leopards that were moving in and out of the bushes and long grass, obviously on the hunt. The night was pierced by the sounds of nervous baboons perched high up in the fan palms. A leopard's nightmare! It seems as though we had a month of predators, and while these are wonderful animals to see, particularly when we have these amazing interactions, this is not all that Kwetsani is about. During your visit to Kwetsani we will share the wonders of the Delta and its waterways; you will look out over our pristine floodplain littered with red lechwe, baboon, warthog and will hopefully be treated to wandering elephants and other species throughout the day. Guests have also spent many hours game viewing and picnicking on Hunda Island enjoying the herds of zebra, wildebeest and buffalo and also getting to enjoy the stately giraffe grazing on the abundant acacia thorn trees, their primary food source. Finally at the end of the month our French guests returned from their picnic on Hunda Island with amazing footage of a mother leopard carrying her cub across the water by the scruff of its neck to safety. 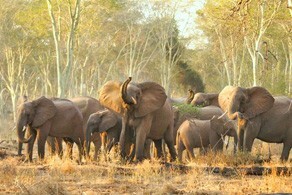 They also boasted amazing pictures of breeding herds of elephant and other sightings from their day out. Then, just before their afternoon drive and to the delight of all guests and staff, Broken Nose, a resident lioness and her cub, came strolling past the front of camp. The female cub that was first detected in November 2007 is doing very well and appears to be helping in the hunt already. The two females were seen chasing a civet across the Kwetsani floodplains when they all stumbled across a steenbok hidden in the long grass. Pandemonium followed with both steenbok and civet managing to escape the hungry lions. The day was not over for our French guests as they were met by a breeding herd of elephant feeding on the foliage in front of camp on their return. Thanks to Jennifer and Cathy for sharing some of their wonderful experiences like the powerful Martial Eagle that had snatched a steenbok. And so we have reached the end of another interesting month with wonderful sightings, experiences and weather. We hope you will be able to visit us one day and share this pristine and unpredictable wilderness with us in the near future. Winter has settled in; at daybreak a wispy blanket of fog separates the Delta floor from the sky. The sun's rays slowly lift the partition to reveal the crisp, clean mornings inviting you to see what it has to offer. Guests clothed in layers anticipating the midday warmth, the day begins fresh and steadily thaws fingers as the sun awakens; the winter layers are slowly removed. Zealous winds swayed the palm trees and kept baboons clutching keenly on the branches. These winds were relentless for most of June but fluctuated as the month neared July. As the wind blew, it gently tugs the male lion's mane as he makes his way majestically over the floodplain. After a number of weeks in hiding following a dangerous confrontation with a hyaena we are relieved to see him moving around his territory. The pride of three lions with which he associates himself are elusive still, having not been seen for some weeks. The sightings that stole most hearts this month however were our resident female leopard, Beauty, and her three month old male cub. The extroverted mother has been relaxed with excited observers 'Oohing' and 'Aahing'. The young male has his mother's photogenic gene as he enjoys posing for pictures. Some intrigue and investigation spiked interest early one morning as guides followed Beauty's tracks and drag marks in the sand. After tracing the steps, Beauty was revealed feeding on a young wildebeest. The cub enjoyed the meal his mother provided; he will soon be getting his own lessons in hunting and the stealthy techniques necessary for survival. Civet, porcupine and mongoose, our Jao Island residents, are still around. A serval was also seen at the Jao Bridge. Jao is bird-lovers' heaven. 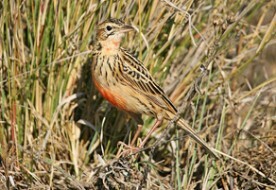 Rosy-Throated Longclaw was a highlight this month and this sought-after bird gave photographers great opportunities. The Western Banded Snake-eagle, another of our sought-after species, was seen catching an olive grass snake - oblivious to its attacker the snake was taken swiftly into the air. The snake-eagle perched itself on our boma fence looking for the best place to begin his squirming meal. It moved onto two different perches before he decided it was time to start picking at his catch of the day. The grey giants of Africa, moving in herds, rumble to each other in a language only they know and we admire. Small palms and tall shrubs are broken at the branch as the elephants busy themselves keeping their enormous bellies full. Our Jao Island 'regulars' have returned for the season. Routinely these male bull elephants will follow their own steps over the Island forcing the Jao staff to creep and crawl out of their way to get around. Alert as banded mongooses, our ears prick at any rustling of bushes, expecting one of our 'giant, grey guests' to peep through the leaves. A rest for one particular elephant means a rest for us as he slumbers in his usual 'bed' behind the Jao office. 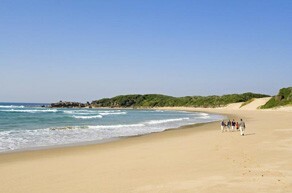 Day trips with a picnic and fishing outings are a great way to enjoy the midday sun. 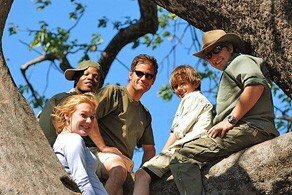 One fun outing included a guided tour up a magnificent baobab tree. School holidays over most of the world gave lots of children chance to visit with their families. Our 'Kids Activity Menu' was put to great use as children of all ages tried their hand at local crafts. The favourite activity being a tracking excursion with a guide making plaster moulds of the tracks discovered. We hope you get the opportunity to write in our guest book - Africa is waiting for you. June has been slightly cool in the mornings and evenings, but during the day it has been reasonably warm - temperatures have been fluctuating from 6 to 10 degrees Celsius in the evenings, with up to 23 degrees Celsius during the day. In the months of May and June, there has been a very significant decrease in the floodwater: this has always been the time when the floodwater increases rapidly, but this year has been very different, with the waters receding instead. 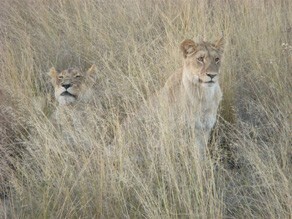 The Duba lions seem to still be major highlights of the sightings here. The Skimmer Pride that has disappeared for almost a year was seen for the first time in mid-May again, the pride now comprising three adult females, and an additional five cubs of different ages - three of them around four months old. The Skimmer Pride has been very active during the time they were in the area and have been seen several times hunting buffalo along the Molapo Road which is where they are normally seen most of the time; Molapo Road being the main boundary between the Skimmer Pride territory and the Tsaro Pride territory. One evening this pride killed an adult buffalo bull along Molapo Road, at a spot approximately 50 metres from a water channel. With the kill being so close to the water's edge, it proved too tempting for nearby crocodiles, several of them looking very hungry and eagerly watching the lionesses as they were feeding. The following afternoon, soon after some guests had just arrived at the sighting, they witnessed one of the crocodiles walking up to the carcass. 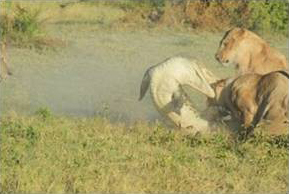 As the crocodile got close, one of the lionesses snarled a 'back off' at it. In response to the lioness, the crocodile then decided to go for one of the small cubs that out of curiosity walked closer to the unfolding event. 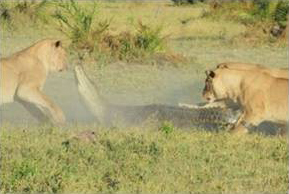 This caused a war that nobody could have foreseen - all three lionesses turned around and attacked the crocodile, the crocodile in turn trying by all means to defend itself, but against such formidable predators like lions, his defensive skills were absolutely useless. The crocodile was bitten on the stomach and on some of his limbs and was believed to have been killed. The next morning the crocodile had disappeared and there was no sign of what could have happened with it, yet the lions were still lying around the remains of the buffalo carcass. This was a thrilling event indeed for all those who managed to see it. Thanks to guest Darin Goldman for the two photographs. During June, the Skimmer Male has been looking very busy most of the time; not knowing whether to stay with the Tsaro Pride that was also hunting buffalo or with the Skimmer Pride that was feeding on the buffalo carcass. In order to give attention to both of his prides he had to work very hard and move between the two as much as he could, but in the end spent most of his time with the Tsaro Pride. He and Junior are still enemies: Junior has been seen many times running and hiding away from the Skimmer Male until recently when he decided that enough is enough. Coming across each other again one day, Junior resisted this time, jumping on top of the Skimmer Male, attacking him to the extent that the Skimmer male surrendered by turning around and running away. Since then, there has been some tension between the two of them. At the moment, Junior is still spending most of the time away from the rest of the pride, but very often has been seen hanging around not far from the Skimmer Male in the Tsaro territory. On two occasions in June, one of the young males of the Skimmer Pride that has not been seen for almost two years was seen in the area on the northern side of the airstrip. He has been actively and successfully hunting buffalo on his own, and seen on two occasions on buffalo kills. The guides are looking forward to seeing what will happen if he and Junior meet up, since they are hanging around in the same area - possibly they would even form a coalition. We mentioned in the last report regarding the Tsaro Pride getting back together, and this has continued to happen in May and June as well. It is very interesting to see the Skimmer Male being very involved with the reuniting of the pride, but very unfortunate that it is happening because Junior and the juvenile female now often spend time away from the rest of the pride. In May, two of the lionesses had cubs: three and two respectively. Both though have been seen with only one cub each. The guides believe that the rest of the cubs have unfortunately died. In the last two months, the pride has been seen hunting buffalo as usual several times, although there have been occasions when some individual females, especially those lactating, have been seen hunting warthog as well. The remaining Duba Boy has not been seen for quite a long time as well. General game viewing at Duba Plains has been very good. We also have been having wonderful sightings of a small herd of common waterbuck that are resident around our prime game drive areas for the last three months now. They are more relaxed than when they were first seen in the area and have made a great addition to the usual assemblage of herbivores. Birding is becoming more interesting at Duba Plains as most of the area has been covered by the floodwaters. We are seeing more water birds, including some great sightings such as the pictured Rosy-throated Long-claw. 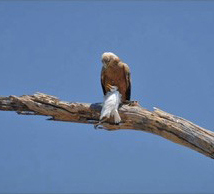 Also seen was a Tawny Eagle feeding on a Cattle Egret - unusual prey for this raptor that normally feeds on small mammals and carrion. The managers were Dardley, Tebby and Bonang, with assistance from the two trainee managers Annah and Tiny. Annah has been at Duba Plains for two months now and Tiny has worked at Chitabe Camp for nine years as head waiter/bar lady/front-of-house supervisor. The guiding team was James 007, Carlton, Reuben and Moronga, from Vumbura Plains. This 12-day tailor made version of the Great Wilderness Journey started at The River Club in Zambia, before moving into Botswana and visiting Savuti Camp, Linyanti Discoverer Camp, Jacana Camp and Tubu Tree Camp: A great safari filled with adventure, wildlife and experiencing the magic of Africa. We all gathered at The River Club. The view west across the Zambezi River is spectacular and every sunset takes your breath away. We spent the afternoon cruising along on the river, viewing hippo, baboons and some antelope. A candlelit dinner was set up under the stars, and the food was excellent. We went to bed serenaded by African Wood-owl and hippo, waking up the next morning to the early mist rising from the river; the flow of the water right below the cabin floating thoughts downriver towards the Victoria Falls which we were to visit shortly. Words cannot describe the sight, or the feeling of the thunder through your body. Seeing this volume of water crashing into the gorge below left no space for talking; the experience left us in awestruck silence. After experiencing this natural wonder, we headed to Simonga Village to meet local Zambian people - to walk the red sandy paths of this small settlement, peruse the home-grown vegetables in the small lean-to shops, to chat to the women and play with the children, so that maybe we could imagine, in a small way, what it might be like to live in this part of Africa; a humbling experience in contrast to our normally rushed and cosseted lifestyles. On the third day we were off to Botswana, for a lunch-time cruise on the Chobe River - it gave everyone a real African introduction to our wildlife and loads of buffalo, huge crocodiles and general game seen as well as elephants swimming and play wrestling in the water close to our boat. After a short plane ride with the landing on a bush airstrip we were in the Linyanti Concession in far northern Botswana, on our way to Savuti Camp. Our first afternoon/evening game drive ended after we spotted lights in the distance, which on investigation turned out to be the camp staff surprising us with a fire-and-lantern-lit dinner under the stars, in the middle of the African bush: The three-course meal that followed was delicious; the aroma even attracting a spotted hyaena to the edge of the firelight. It was the start of what was to be a wonderful safari. We saw several unusual sights in the Savute Channel - from a honey badger digging for rodents in broad daylight to an aardvark making a rare appearance at dusk one afternoon; mating leopards and excellent general game with zebra, giraffe, wildebeest, ostrich and others. After two nights and more memorable meals, (including one where we got to taste the delights of traditional Botswana cuisine), we left for Linyanti Discoverer Camp, some 35km to the north-east of Savuti. Beautifully situated on the banks of the Linyanti River, with the main area metres from the water under the shade of a massive old leadwood tree, Linyanti Discoverer Camp brought to mind the earlier days of safari. 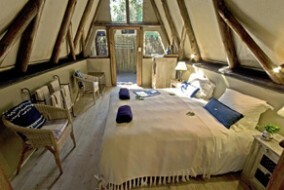 This very comfortable, rustic camp with extremely friendly staff saw us soon settled into our new abode. We saw excellent game - spotted hyaena, a lion pride, African civet, serval, honey badger, Giant Eagle-owl as well as general game. We took a day trip up the Linyanti River and spent the afternoon playing poker under the jackalberry trees at Livingstone Hide, watched over by elephant, hippo and baboon before heading back to camp as the light changed and the afternoon became cooler. What an amazing stay! Leaving here and flying south-west over the Okavango Delta was a great way to observe this vast wetland, and the stark contrast to the habitat we just left. The Delta looked lush, green and very wet - an oasis supporting abundant and diverse animal, bird and plant life. We were all excited to be here. At Jacana Camp we kicked of our shoes to feel the white sand under our feet and to enjoy the peaceful relaxation this little island had to offer. We focused on water activities as this afforded us a different perspective, and a welcome break from the vehicle. The tranquillity of an Okavango Delta mokoro trip cannot be surpassed: Gliding along silently, relaxing in the flat-bottomed traditional dug-out canoe; the piercing call of the African Fish-eagle calling to its mate and the excitement of finding a tiny painted reed frog before returning to camp as dusk settles over this peaceful water world. A boat trip then delivered us to our next destination, Tubu Tree Camp. 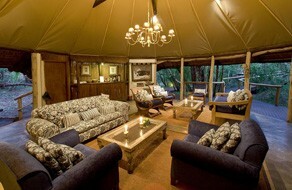 This camp is situated on the large Hunda Island, so it was back to game drives interspersed with a few walks. We were lucky enough to spot three different leopards as well as abundant general game - giraffe, elephant, kudu, bushbuck, warthog, hippo, zebra and wildebeest. Some excellent birds were spotted too: Southern Ground Hornbill, Martial Eagle and Wattled Crane were some highlights. 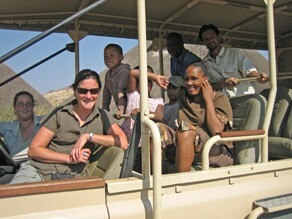 In general all the guests were really amazed at the wildlife experience that we had. We ended this fantastic wildlife adventure with a barbeque under the stars and fireside tales that kept us there until late at night, when the call of the local clan of spotted hyaenas once again reminded us that it was their time, and best we get back to camp. The mornings have been somewhat cold, but heating up quite briskly later on - a big jump from a chilly 3-5 degrees C all the way up to 32-38 degrees C, but game viewing has been good throughout. The Red-billed Quelea have started their flocking movements, with the loud swooshing sound coming from the flocks which gather as they feed on the grass seeds, before all alighting with a thunderous rumbling of wings. At Crooks' Corner on several occasions during an afternoon sundowner they were seen flying over the hippo and crocodiles like quick moving black clouds. The Nyala Trees are fruiting, with chacma baboons and vervet monkeys clambering through the branches as they feed on the fruit. 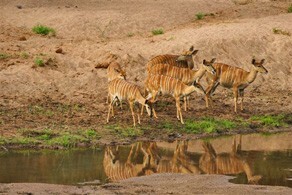 A fair number are dropped, causing large congregations of impala, nyala and bushbuck below the tree's green canopy. In the evenings one needs to dodge the falling fruit of the nyala trees around the camp as the thick-tailed bushbaby and epauletted fruit bats feed on the fruit, the bats playing an important part in seed dispersal and also help with the pollination of sausage trees and baobabs. 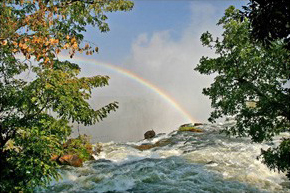 The trees along the Luvuvhu River are starting to blaze red, with the fiery red flowers of the flame creepers and the Anisotes species are flowering along the river roads, attracting the Collared and White-bellied Sunbirds to their sweet nectar. Large herds of elephant have been seen gathering near and in the fever tree forest, with the elephant bulls seen feeding around the camp and wallowing in the Luvuvhu River in front of camp as guests sit on their decks. Beautiful herds of eland numbering in their 40s have been seen regularly. Watching the herds you can sometimes hear the wood-knocking clicking sound produced as the large bulls walk; a sound believed to aid in audio displaying to any rivals. Equally impressive herds of African buffalo with Yellow-billed and Red-billed Oxpecker riding on their backs as they engorge themselves with ticks have also been seen, both on foot and in the vehicle. June has encouraged some of the seldom seen animals to reveal themselves, Warren Ozorio seeing a serval at Tshikuya Spring, and yours truly having the pleasure of seeing an aardwolf amble across a remote road in the western parts of the concession one cool evening. Two honey badger were also seen during June as well as Cape clawless otter in the Luvuvhu River from the heights of Lanner Gorge. The resident female leopard that walks around Pafuri Camp caught herself a nyala close to Room 5, which added some excitement around camp with one of the staff members witnessing the whole hunt and kill: action packed. Out on drive Warren Ozorio watched as an immature Martial Eagle talon grappled with a Verreauxs' (Black) Eagle. We also watched as the undertaker-like Southern Ground Hornbill followed a troop of baboons as they rolled over rocks and logs in search of insects, other invertebrates and reptiles to eat. 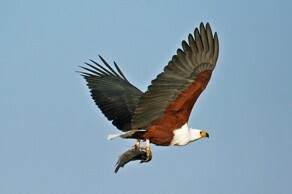 He followed quite closely allowing the baboon to do the work afterwards coming to reap the rewards they overlooked. As always we enjoyed good birding in the Makuleke Concession this month with the following birds being seen in June 2008: Retz's Helmet-shrike, Pel's Fishing-Owl, Long-Crested Eagle, Crested Guineafowl, African Crowned Eagle, Grey-headed Parrot, Yellow White-eye, Common Greenshank, Lemon-breasted Canary, Scaly-throated Honeyguide, Racket-tailed Roller, White-backed Night-Heron, Three-Banded Courser, Black-throated Wattled-Eye, African Cuckoo Hawk, Eastern Nicator and Chestnut-vented Titbabbler. After a short period of being closed for a nip-and-tuck (upgraded tree-house interiors and main area), Rocktail Bay Lodge has reopened. For two weeks the staff of Rocktail Bay deviated from their normal routines and put their heart and soul into giving the lodge a facelift that is a testimony to their passion for this lodge. The weather has been quite variable over June. With most days being warm and sunny but surprisingly for this time of the year there were a few days of unusual heavy rain. On around the 15th of the month, all of a sudden, the humpback whales returned with sightings of numerous pods visible from the beach and out on the dive boat. The return migration of these huge mammals from the Southern Ocean north to their calving grounds in the tropics and sub-tropics was most intense for the first few days but is still continuing with numerous sightings every day. 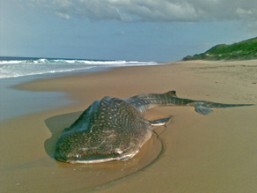 On the 30th of the month a snorkelling trip to Lala Neck produced an unusual sighting of a beached whale shark. It seems that the shark had died out at sea and was extensively fed on by presumably sharks before it washed up on the beach. There is scant information about the occurrence of these large sharks off the African continent - worldwide, relatively little is known about the biology of these animals. Reasons for the stranding of whale sharks along the east coast are uncertain although the narrow, steeply-sloping continental shelf, close proximity of the Agulhas Current to the shore, and beaches with heavy wave action may be contributory factors to the stranding of these large, relatively slow-swimming animals. There have been loads of fantastic birds around the camp with sightings of unusual birds such as the White-starred Robin, Woodward's Batis and Olive Sunbird. 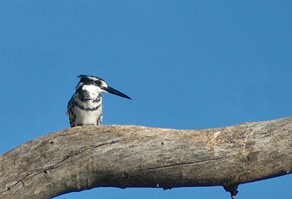 Out of the lodge area excursions have also produced some great birding. On a recent afternoon sundowner trip to Lake Sibaya (the largest freshwater lake in South Africa) guests also did some birding. Right next to the lake we happened upon some Grey-rumped Swallows 'hovering' in a particular spot for extended periods. On closer inspection we found that the swallows had excavated a nest in the sand on the ground approximately ten metres of the edge of the lake. Grey-rumped swallows is an uncommon bird in the subregion so it was very exciting discovering an active nest. The fringes of Lake Sibaya are an ideal breeding habitat for this species so it is probably an annual occurrence. Other waterbird concentrations were also good: African Fish-Eagle, Whiskered Tern, Goliath Heron, Water Thick-knee and Malachite Kingfisher were some other species recorded. Although winter is not known as the best time of the year to find and view reptiles, guests were treated to an unusual sighting of a Gaboon Adder during a scenic trip to Black Rock! This is a great record of a mostly-nocturnal, seldom-seen snake. Winter - What winter? Damaraland Camp has been experiencing wonderfully warm weather. While the rest of Namibia has been much colder we've been having lovely warm days up to 30° Celsius, and nights where t-shirts and shorts are the dining attire. This could change any day, so we've been enjoying it while it lasts. The grasses are rapidly disappearing as we head into our winter months and most of the game are moving back into the ephemeral river systems to try find forage closer to the permanent water supplies. So our golden grass-covered mountains are turning back to the normal red colour of the rocks as the grass disappears. We've had a few misty mornings, bringing in the much needed water, but it is clear that the summer rains are a thing of the past as our terrain returns to its arid state. A first ever for Damaraland Camp and something none of us could believe when we saw it. Tuesday the 8th of July started as any normal day, until a radio call from guide Everest informed us that there were two BLACK RHINO heading towards camp. At first nobody was sure if he was joking or not, so a couple staff members jumped into a Land Rover and headed towards the airstrip. Just 3km from camp we came across them, heading casually in our direction. They took a short rest under a shepherd's tree along the road, and then continued in the direction of camp. We all waited at the main area in anticipation, and lo and behold we spotted them making their way towards us. The pair cut across the valley in plain sight from our main area and headed easterly on our Damarana Trail which guests usually walk in the afternoons. Save the Rhino Trust were contacted and they verified their identity through the rhinos' ear markings as a young female named Rambuka and a male they suspect, but haven't verified, as Blacky. The female is approximately seven years old. The two rhino have probably paired up as she is in season, and if all goes according to plan, she will be having her first calf within the next 15 months. We hope they stick around, they are more than welcome! Elephants have been moving along the river beds and we are having sightings on a daily basis. The three youngsters born this year are between six and eight months old now and are finding their feet. We suspect that there's another pregnant female in Oscar's group, and hopefully we will be seeing a new addition to the family, a great friend for their youngest calf who is about 15 months old now. Unfortunately as the season gets drier and food becomes less, the elephants have been playing havoc in the local community: breaking into gardens and destroying food crops. The local communities are keeping a watch on their gardens and are trying to chase the elephants out when they come around, but they slip silently and stealthily under the radar at night and still get in. This is just a part of the reality in our area. We have also had a visit from a pride of lions close to Damaraland Camp. They were collared lions from the westerly region towards the Palmwag Concession. 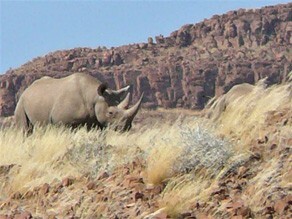 We had heard news that they had visited Desert Rhino Camp, then Wereldsend and then headed our way, making their way steadily east. We had one sighting of a female, but they remained elusive, and soon were back on their way to where they came from. Better luck next time. The Torra Conservancy in which Damaraland Camp is located celebrated its 10-year anniversary on the 20th of last month. There was a wonderful celebration in the local town nearby and Damaraland Camp took part in a few of the activities held. One of our managers judged the "Miss Anniversary" beauty competition. We also assisted the Round Table in handing out 340 blankets to the local communities. Honorary Guests - Minister of Environment and Tourism, Mrs. Netumbo Nandi-Ndaitwah, and Governor, Mr. Dudu Murorua - attended the celebrations and paid a visit to Damaraland Camp. It was a wonderful weekend, and all the staff attended and danced the night away to local live bands. 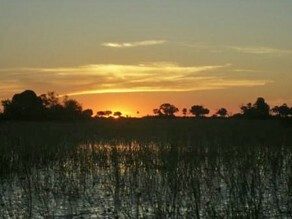 June in the Caprivi Strip was mild with cool nights and warm sunny days. There is still plenty water around, including of course the full Kwando River that marks the border between Botswana and Namibia. Lianshulu Lodge overlooks this river and its stillness continued to create many photographic opportunities of those perfect tree silhouettes and magnificent sunset shots. Not for nothing is Lianshulu considered one of our most scenic camps. Since there is still plenty of water around, animals do not need to come down to the river to drink, but there was plenty of variety to be spotted while guests were on the "game cruise". These cruises take place in the morning or the afternoon (the latter known as the 'sundowner' cruise), with smaller groups on the aluminium boat and larger ones on the pontoon. Either way, the cruise is a wonderful experience as one floats down the beautiful Kwando River, its stillness broken by hippo heads every now and then, which always adds a frisson of excitement to the day. There were outstanding elephant sightings including an up close and personal one of a huge bull drinking not two metres away from the boat. He stared at the boat, spread his ears and then decided it wasn't worth his while to get upset, and moved away, disappearing into the thick reeds. Sitatunga antelope are a rare sighting anywhere, so it was with great excitement that Justin and his guests caught sight of one on the sundowner cruise. Characteristically it was partly hidden by the long reeds and loped away fairly quickly - a wonderful sighting of this secretive animal which hadn't been seen in the area for five months before this. Other interesting sightings included a Nile monitor in a Hamerkop nest and another one raiding the nest holes of the White-fronted Bee-eaters. The bee-eaters make their nests in the steep, cliff-like riverbanks but this didn't stop the monitor from getting into some of them to take the eggs or chicks. The morning nature drives into the Mudumu National Park also had some good experiences. In between sightings, the guides introduced their guests to the less visible aspects of nature - animal tracks and spoor, the amazing termite mounds with trees growing out of them. Plains game such as impala, zebra, kudu, elephant, baboon, wildebeest, tsessebe, lechwe and warthog were seen, while the tracks of lion, leopard and hyaena were tantalising, but proved these creatures are around. More proof was given one night when a lion roared almost inside the camp! One group of guests were lucky enough to see a herd of roan antelope. Birding was good, from the many African Jacanas to the African Fish-eagle taking off with a fish hooked in its talons; it had been feeding on a river bank before taking flight. 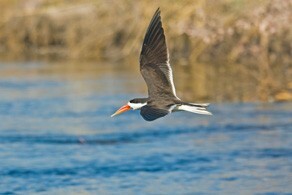 Another thrilling sighting was of an African Skimmer, a bird that has been seen very rarely in this area. The visits to the Lizauli Traditional Village are as popular as ever, where guests are introduced to the way of life of the communities that live on the periphery of the Mudumu National Park. Some groups also visited one of the schools in the area and handed out pens and footballs. Finally, Ouma, the reclusive hippo that slips into the camp to feed on the grass between the units was spotted at 3:00 in the morning, industriously mowing the lawn, crunching so loudly she woke the guests in the nearby room! June marks the start of the rutting season for the wildebeest, and big herds moved down on to the short grass plains of the conservation areas and then into the Game Reserve as competition with livestock for grazing outside the reserve intensifies. The rutting bulls were noisily grunting and chasing and fighting rival males for dominance, territory and ultimately access to females. With loud thumps, heads clashed together as they jostled for dominance. These males also scrape the ground with their forefeet as they have interdigital hoof glands to mark their territory. Out on the plains there are large breeding herds of eland with many young calves averaging one to three months of age and some large dark males on the periphery of the herds. Good numbers of giraffe along with many young calves again in crèches of varying age groups are within the Marsh and riverine woodlands. 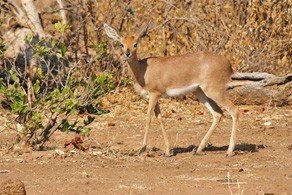 Impala in breeding herds, and a few young fawns are within the woodlands of the camps. A large breeding herd of Cape Buffalo has been on the plains beyond the marsh for some time now the grass value is sufficient for hard lipped bovids such as buffalo. Family herds of elephant with many young calves are in the Marsh and adjacent plains areas, moving out of the grasslands and into the woodlands during the day. 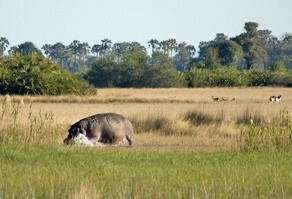 The lush grasses and sedges of the watered areas in the Marsh keep the elephant herds well fed. Large numbers of topi have been out on the plains along with Cokes Hartebeest in smaller herd groups. A handsome dark male bushbuck has been emerging from the verges of the woodland outside Il Moran where his territory lies, making his presence felt in the evenings and early mornings. A large troop of Olive Baboons are occupying the grasslands on the verges of the marsh where they spend much of the day foraging for food. This troop has many playful young babies. 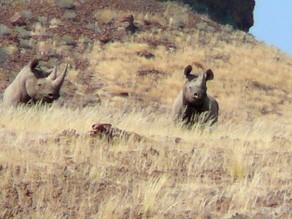 June brought some lovely sightings of our resident black rhinos. The two female black rhino (mother and daughter) were seen out in the luggas on the verges of the plains and in the river bed crossing to the other side of the plains. The resident hyena cubs are emerging from their dens and we were delighted to discover four spotted hyena cubs on the edge of the plains. Spotted hyena tend to have no more than two cubs and here the extra two may be from a sister or an elder daughter of the parents. On the feline front, we were thrilled when the Bila Shaka/Marsh pride of three males of which one dark manned Lion is called ‘Pavarotti’ and six females added a further two new cubs (estimated at one month old) to the pride. There are now nine cubs of varying ages in this pride. The pride is also feeding well, and on the 11th June was seen on a giraffe kill near the Musiara gate. They have also been seen feeding off zebra, and all signs are that the pride is thriving. The Ridge/Paradise pride, which consists of four breeding females, two of which have three cubs estimated at two months old, are often seen near the river crossing that takes one into the plains area. The five young males who were ousted from the Bila Shaka pride and the old Bila Shaka male (also ousted when Pavarotti and his brothers took over the pride) have taken up residence in the Paradise Plains area. These males have formed a strong coalition and have been taking advantage of the thousands of zebra who moved through paradise last month. They have had many successful kills and have been feeding off Zebra, killing at least three in the last ten days of the month. Towards the end of the month, clients at Governors’ Camp were treated to the sight of two lionesses draped over a large branch of a dead tree the other side of the river from the camp. Lions climb trees commonly elsewhere in Africa and it is thought they do this for coolness, a better vantage point and to get away from biting flies. Cheetah sightings have been good again in June, and the lone male has been seen outside of the reserve hunting Thomson gazelle on the short grass plains. A female cheetah was in the long grass plains of Bila Shaka, and another was on the Topi plains; on the 28th they were seen chasing and killing a yearling zebra. 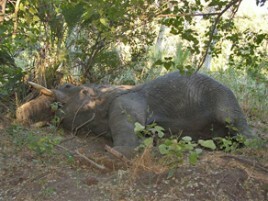 One of the males had a large gash on his left shoulder which appears to have been caused by a warthog. The young female cheetah was in the Paradise area close by to the wildebeest crossing point and another female has been seen up on the ridges and hunting in the plains. The resident leopards are thriving. Pole and her cub Kijana have been seen in the woodland areas between Il Moran Camp and Little Governors’ Camp. Kijana is often sighted, much to the delight of our clients and guides, surveying his territory on the fringes of the marsh. The new large male (who may be the father of Kijana) has been making his presence felt in the woodlands near the BBC camp site. On the edge of the reserve, a young female has two very young cubs, which we estimate to be around two months old. There may be more cubs on the way as a male and female were seen mating near Governors’ Private Camp. Back in Camp the butterflies have been an absolute delight. 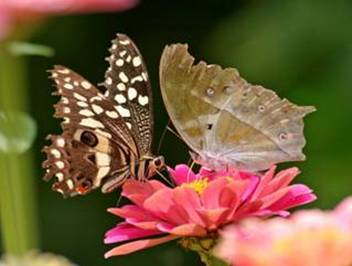 The bushes on the riverbanks have been flowering following the rains last month and are providing a feast for the butterflies that have been flitting around on the riverbanks in their hundreds. We have seen Mocker Swallowtails, Papilo Butterflies, Cirtrus Butterflies, Forest Mother of Pearl, Blue Sailors and Acraea Butterflies, just to name a few!